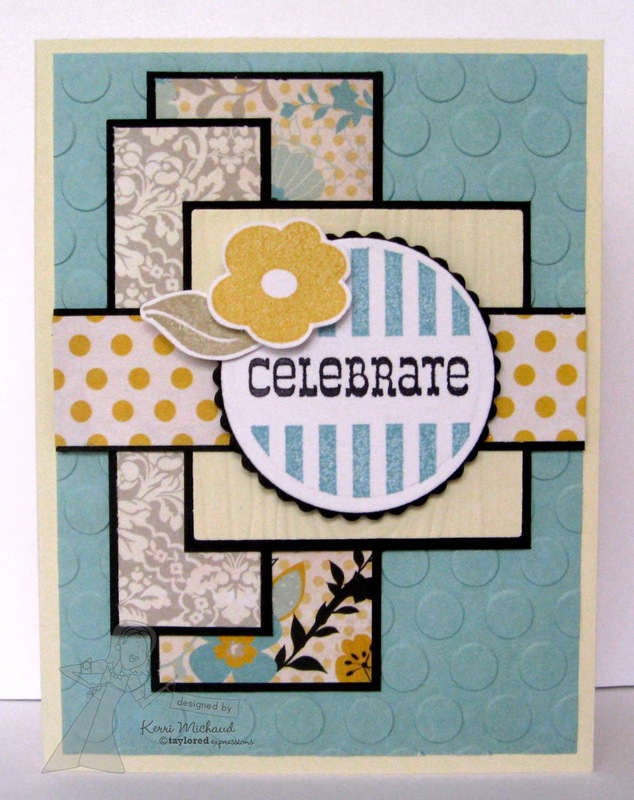 Taylored Expressions Stamp of the Month: Celebrate! Hello again! I wanted to share another card I made using the Taylored Expressions Stamp of the Month, along with the Key Ingredients Kit:) You can get both of these goodies when you sign up for the monthly Deluxe Subscription! This month's SOTM is called Simple Greetings and it's such a great set to make a quick and pretty card! I started with a fun Mojo Monday Sketch~#275 and gathered some beautiful dp from the Key Ingredients Kit. I stamped the circle frame from the SOTM with Baja Breeze, and the sentiment in the middle. I then stamped the flower and a leaf, cut them out, and layered them on top. 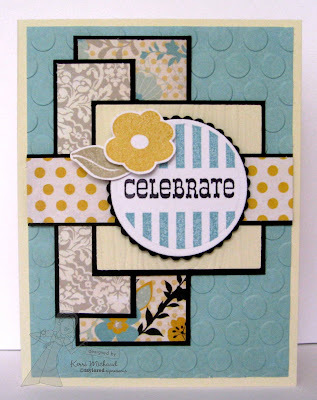 I added a little texture with the CB Seeing Spots embossing folder, put it together and called it complete! So quick and easy! I am loving these new stamps of the month and I hope you are too! Thank you so much for stopping by and I hope you have a wonderful weekend!